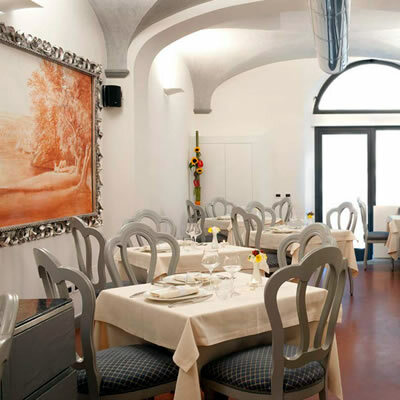 Down a quiet street in the Santa Maria Novella district of Florence is a charming and sophisticated restaurant, offering good food and friendly service at very attractive prices. 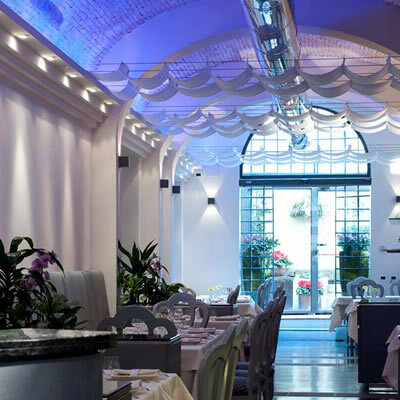 The Ristorante Benedicta occupies a long, narrow space beneath a vaulted ceiling. 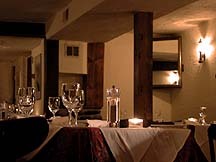 Its atmosphere is modern, and is set by the overhead lighting, which frequently changes colour. This sounds slightly irritating – but, in fact, it is strangely soothing. The napery is off-white, the chairs are grey and the waiters and waitresses wear white shirts, grey aprons and black ties. The effect is entirely harmonious. No wonder Benedicta, which opened at the end of 2008, is now so often full for dinner. At the far end of the room glass doors lead to a little garden with a fountain. It was here I was shown to my inside table by the excellent Manager, Francesco Ioppoli, and it was here I was looked after with great courtesy and efficiency by the waiter, Andrea. 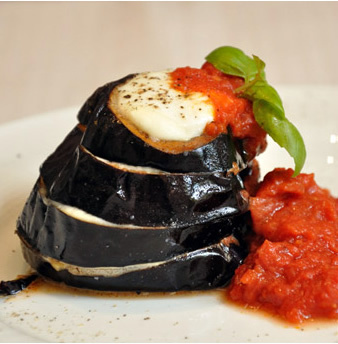 Benedicta is one of those restaurants which serves straightforward, traditional Italian food, based upon high quality, fresh ingredients. 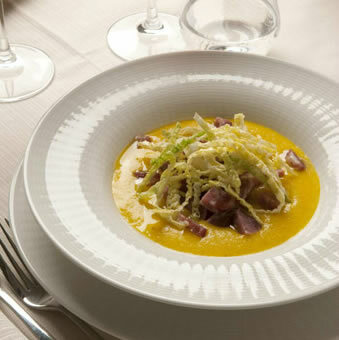 But it also gives a nod to modernity in the presentation of the food on the plate. This is an approach of which I entirely approve. It certainly provided me with an enjoyable meal. 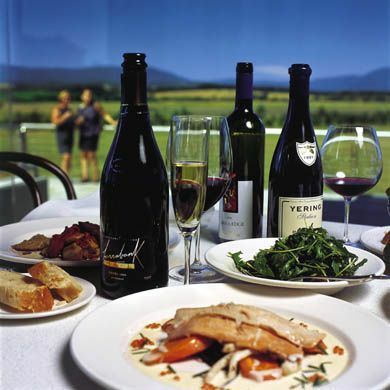 The wine list – apart from the one champagne (Drappier – 60€) – is Italian. Its 128 offerings include 13 half-bottles and many bottles for only 18€. The most expensive wine is a 2007 Tuscan merlot – Rocca di Frassinello – at 120€. Into my glass (made by ‘RCR’) was poured a full-bodied 2009 Chianti Classico, which I judged – rightly – would make a robust partner for the beef (Castello di Bossi – 28€). As all you Classical scholars know, ‘benedicta’ means ‘blessed’. 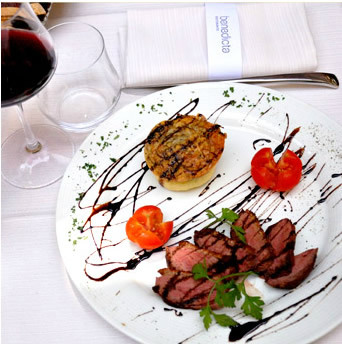 It is an appropriate name for this restaurant, for its customers are, indeed, blessed – by good food and wine, served in a relaxing and comfortable environment at very reasonable prices. The quiet street in the Santa Maria Novella district of Florence contains a little gem. Via Benedetta 12R, 50123 Florence, Italy.